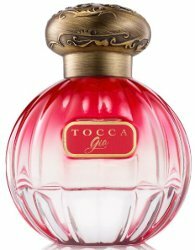 Tocca has launched Gia, a new warm floral fragrance for women. Visionary American female artist, Georgia O’Keefe [sic], inspires Gia, a fragrance that honors the art & power of individual creativity. A lavish Turkish Rose Absolute expresses passion, and is given flight by notes of feminine power and purity. Pink peppercorn & Tangerine lifts the rose with wings, while Golden Amber & Sandalwood Velvetine cushion Gia with pure beauty. Tocca Gia is available now at Blue Mercury, $76 for 50 ml Eau de Parfum. At Sephora, you can also find a 10 ml Rollerball for $27. Sounds intriguing. Tocca has been very hit or miss for me. Is this the first rose-based fragrance they’ve done? They did Isabel, which was a light, summery tea rose. Like you, I find them hit or miss, but I did like it. Thank you, I could not have answered that! Tocca is pretty much miss for me. And Bianca, which I think of as lemon rose, and is the only Tocca I like. Same. I’ve spent years reading and thinking about a) perfume and b) O’Keeffe, and I’m baffled. I laughed out loud. But more so because she was identified as a FEMALE artist (with feminine power and purity of all things!). Not very empowering. Perhaps the original name for the frag was Georgia–and a rose scent called Georgia just wasn’t edgy enough . . .
Next in their rose line up? Yes!! It’s an especially cruel joke because O’Keeffe *hated* being classified as a “woman artist.” She just wanted people to take her seriously as an artist, full stop. yup its insulting to O Keeffe. If you want to refer to her at least put some effort in making a creative bottle. But no, just a boring pink girly girly bottle that has been done 10000000 times before. It’s a huge stretch. Sephora does not mention O’Keeffe in their description, so perhaps they agree with you. Add me to the list. I even consulted Google because I thought maybe there was something about her I didn’t know…Nope. This scent does not sound reminiscent of any of her work, nor seem like something she would have liked/worn. – But that brings up a challenging Friday SOTD project idea…Robin, have we done a scent that Georgia O’Keeffe would wear/approve of yet? Cool idea… One for Georgia, and maybe add a second artist of your own choosing as well? I doubt she would approve of the project at all! But maybe we should do a picture challenge with one of her paintings? Yes! I love the picture challenges.